You are at:Home»Cruise Lines»P&O Cruises»Britannia by Numbers. 3, 2, 1, Let’s Sail! Britannia by Numbers. 3, 2, 1, Let’s Sail! As the biggest ever ship built for the British market, the launch of P&O’s Britannia has caused quite the buzz! So much so that Her Majesty the Queen was even on-hand to officially christen the vessel. Now that’s some serious sway. To celebrate, we’ve put together a numbers driven low-down of some of her most impressive features. 1082 – This is how long Britannia is in feet. If she was flipped vertically, this would make the vessel taller than the Eiffel Tower! 141,000 – In total, Britannia weighs in at a titanic 141,000 tonnes! 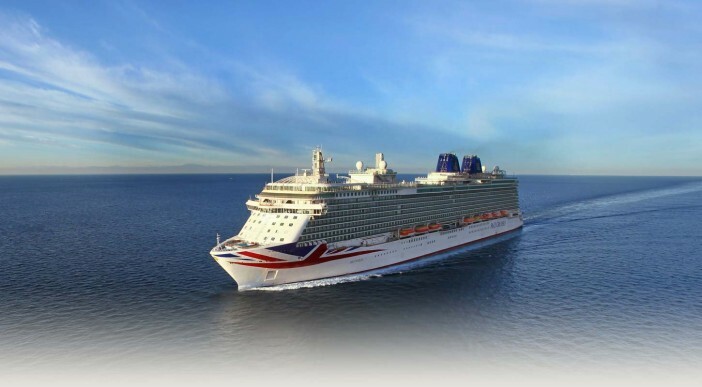 4372 – Britannia is capable of hosting a huge 4372 passengers. That’s more than the capacity of the Royal Albert Hall! Want to be a part of the action? Head over to Cruise 1st where you’ll find some amazing deals on Britannia voyages to Europe, the Mediterranean, the Caribbean and more! Sail on the biggest ever ship built for the British market!